Two disappointments in one day? Aw, man! Hey guys! A few days ago I posted a TBR for The Reading Quest as well as the 7 in 7 readathon, and I am pleased to update you with GOOD NEWS! 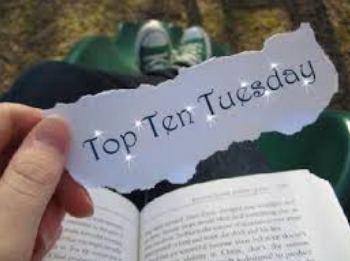 (Well, mostly) I finished the last 100 pages of Uprooted (which I was reading for #MakeMeRead) on the 14th (first day of 7 in 7, second day of TRQ), and then was able to read the first 70 pages of Book of Shadows before I went to bed. I finished the last 100 pages of BoS today (the 15th) and then was able to knock out Ronit & Jamil in an hour, so I am now 2 books down for both! Unfortunately, I didn’t really love either one, so I figured I’d combine them both in a double review for you guys! Let’s just get started, shall we? I was definitely NOT impressed by this book. As I said in my 7 in 7 TBR, I went into it knowing nothing about it. I honestly don’t know why I bought it. I didn’t know anything about it, and none of my Goodreads friends have read it. I’m assuming Book Outlet had a sale and I just got a little excited. Whoops? In any case, for whatever reason, I was quite excited to read it. It had magick and witches! I had just finished Uprooted so I was definitely in the mood for a whimsical fantasy. Not to mention, Uprooted had a very short blurb as well, so I thought it might pleasantly surprise me! However, for the entirety of the book the main character (whose name I forgot and literally had to look up), Morgan, is just pining over a boy. Along with half of the girls in the school. The obsession takes over her entire life and their whole relationship is absurd! Not to mention, her relationship with her best friend is ridiculous. They’re the “bestest of friends” but they let a boy get between them so easily. Some of their conversations and interactions just struck me as strange and unhealthy. I mean, what?? Did I just see that? Morgan’s parents are portrayed as mean and strict, but only because they’re freaked out by her wanting to become a witch? I mean, really! Of course that’s upsetting and creepy. I don’t know about you guys, but if that situation happened to me, I would definitely be concerned. The Wicca group doesn’t seem like the safest place for your daughter to be spending her free time. Some of this book seemed so childish and ridiculous, which only made it all the more confusing when there were some cruder, “inappropriate” bits. The story felt very strange because of it, and I just felt like shaking the main character most of the time. She definitely needed to get a grip on reality and get her priorities straight. I think it’s a bad sign when your favorite character in the book is the main character’s gay aunt. Who is mentioned a few times but only has a conversation with Morgan 2-3 times. Irritating as it was, I did rate it two stars instead of one because I thought the idea and premise was interesting, but I just think the author went about it in the wrong way, and I was extremely disappointed in the wealth of pining and lack of ACTUAL MAGICK. I think I would have appreciated this book at least a little bit more if I had known what to expect, but since I went in blind, I had (strangely) high hopes for it to be a fantastical and magickal story. At least the first half of the book is more of a romance/teen drama, so if you’re looking to pick up this book, definitely keep that in mind! **2.5 Stars** I’m not a fan. I knew how low this book was rated on Goodreads before going into it (again, I mentioned it in my 7 in 7 TBR), but I still wanted to give it a shot, so here we are! I LOVE reading books written in verse, and seeing as this book is <200 pages, it was a very quick read, and I got through it in about an hour. Which was definitely a plus. 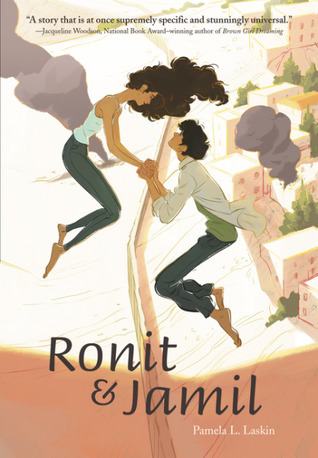 First off, I often had a difficult time figuring out whether Ronit or Jamil was speaking on each page, and I quickly had to learn their respective parents’ names to know who was talking. I looked it up, and it sounds like the writer intentionally wrote them with very similar voices to show how they really weren’t all that different, but it made it difficult to read the story, and pages with their names labeled were greatly appreciated. Other than that, the writing itself was alright. I didn’t hate it or anything, but it wasn’t absolutely spectacular and it didn’t blow me away or anything like that. As for the story itself, I didn’t like the romance! Which, you know, is kind of important when it’s the main point of the book. It was very insta-lovey, and it felt like there was no build-up at all to a relationship of any sort. All they ever talked about was their lust for each other, and I felt that I missed both the entire chunk of the beginning of their relationship as well as any actual romance? A lot of the book was just talked about how much they “wanted each other” and using strange metaphors for it and just… why?? I wasn’t a fan of the ending either. I understand why the author did it, but it definitely didn’t live up to my expectations, because HELLO. IT’S ROMEO AND JULIET. I WANT IT TO BE PERFECT. (If you’ve read it, you totally know what I’m talking about) It felt like the build-up didn’t actually go anywhere. Still, I liked the premise, and I totally understand what a horrible situation this would be, but since I didn’t feel any actual LOVE in their romance at all, I didn’t really sympathize with them. Which was disappointing! Honestly, some of my favorite/most intriguing parts of the story were when their parents would speak. Their thoughts made sense and were much more heartbreaking and tragic than the actual “romance”, unfortunately. It was worth a shot! If you do decide to pick this up, at least it is quite nice and short, so if you don’t like it you should be able to get through it quickly. But fingers crossed you do! Whew, that’s that! I didn’t enjoy Book of Shadows or Ronit and Jamil all that much, but I am two books down! I used BoS for the open heart “free space”, and R&J for the small press. I’m now up to 30 EXP and 55 HP! Yayyy! Thanks for reading! Let me know if you’ve read/plan to read either of these books and what your thoughts on them are! If you’re participating in either of these challenges, how are you doing so far? Next ›Hogwarts Cramathon- Fancasting Harry Potter and Yellow Recomendations! 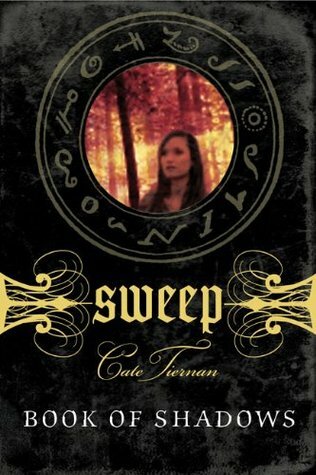 I read the complete Sweep series when I was about fifteen? I think? Back then I enjoyed it, but that’s because I just lost myself in the reading, ignoring all “lesser aspects” – and I wasn’t even reviewing back then. I’ve been thinking about rereading them, to find out how I’d feel about them ten years later but I’m sure they’ll feel way too childish. I don’t want my childhood books to disappear to the “Nopenopenope”-shelf, so I think I’m just going to let them be, haha! Makes sense! I think I also would’ve enjoyed the series more if I had been younger when reading it. It’s just not my cup of tea now. I really enjoyed these reviews 😀 maybe I just love reviews about books someone didn’t like? 😀 I don’t even know these books! Nice post. Hahaha I’m so glad you enjoyed! Sometimes rant reviews are the most entertaining, am I right? 😉 thanks!